We are in the financial sector and in need of two (2) Senior Remedial Officers. * Must have a minimum of 2 years UAE bank collections and recovery experience specializing in sales, marketing and business development. *Someone who can actively and consistently contact and source new clients. *Someone who is able to work from the office and source clients outside as well, liaise with clients, attend meetings, and present our services in a professional and efficient manner. *The candidate must be assertive, well spoken, have a positive attitude, be able to work on their own or in a team. *The candidate must be able to create new business relationships. · Responsible for developing business in the assigned region. Development of Clients in prescribed areas, Making aware of the products and services, assist them in getting solutions for their business or cause, managing the customers and identifying new customers, through online and offline methods, Assisting technical staff and co-ordination between firm and client. • Dealing with internal queries about payments, ensuring customers pay on time. • Ensure that debts are paid in a timely manner. • Chase overdue invoices by telephone, email & letter within agreed timescales. • Maintain accurate records of all chasing activity. • Regularly making contact with customers to ensure all relevant debts are managed as necessary. • Identify changes in payment patterns and propose action to avert indebtedness. • Respond promptly and completely to both client and internal enquiries. • Undertake account reconciliations as required. • Ensure monthly processing deadlines are met as required. • Send out monthly client statements/letters as may be agreed from time to time. • Develop the credit management capability within the practice. • Other duties as delegated from time to time by the Finance Manager or CFO or any other person designated in their absence. • You'll need to be firm and organized to work in credit control. • The ability to work under pressure and to deadlines. Our client, a leading boutique creative agency in Qatar, is looking for a Business Manager to join their team in Doha. Manage relationships with clients, provide strategic marketing direction, supervise projects and create profitable results. Must have a strong ability to manage multiple tasks in a fast-paced, deadline sensitive, detail-driven environment. Prepare project estimates and facilitate client authorization – keeping paper work and documentation in order. Complete production orders as needed and distribute to traffic and creative. Complete media authorizations as needed and distribute to media and traffic. Establish internal project deadlines and coordinate with traffic and creative to ensure that projects are of highest quality and completed on time. Provide production assistance including prop, talent, photo/film acquisition, release forms, and usage paperwork as required. Responsible for all aspects of production legality and follow-up paperwork – with each step filed in the project/job bag. Prepare client communication materials such as conference reports, memos, e-mails, etc. Complete jobs profitably as measured by the actual job billing versus project estimate. Prepare billing and budget reports. Keep the communication within the group or team transparent and motivated, creating an atmosphere of trust between the clientand the agency. Salary for this position is between QAR 16-18,000 depending on experience. 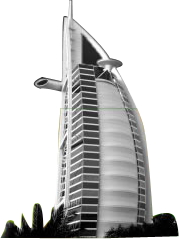 Our client is a leading financial institution in UAE. The job is a full-time position at middle-management level reporting to the Senior Manager primarily responsible for assisting the Senior Manager Model validation and governance in the validation of models related to credit risk, market risk, ALM and operational risk to ensure the overall risk measurement soundness. This role includes collaboration with the model development teams to ensure models and methodologies are appropriate given overall framework and regulatory requirements. In addition, the candidate should be able to assist in end to end implementation of IFRS 9 impairment modelling including economic forecasting and stress testing. Assist Senior Manager to conduct robust and comprehensive validation of the financial institution internal and external models. Assist Senior Manager to assess model risk and make recommendations on model use. Generate validation reports and present findings and recommendations to model owners. Assist Senior Manager to develop and maintain a model inventory and ensure the inventory is complete, accurate, and consistent with the model validation policy. Assist Senior Manager to help establish the model validation scope, assessment of validation results, and lead internal communication with stakeholders. Ensure accuracy and completeness of archived information and related documentation to allow independent third-party review of the validation work performed.